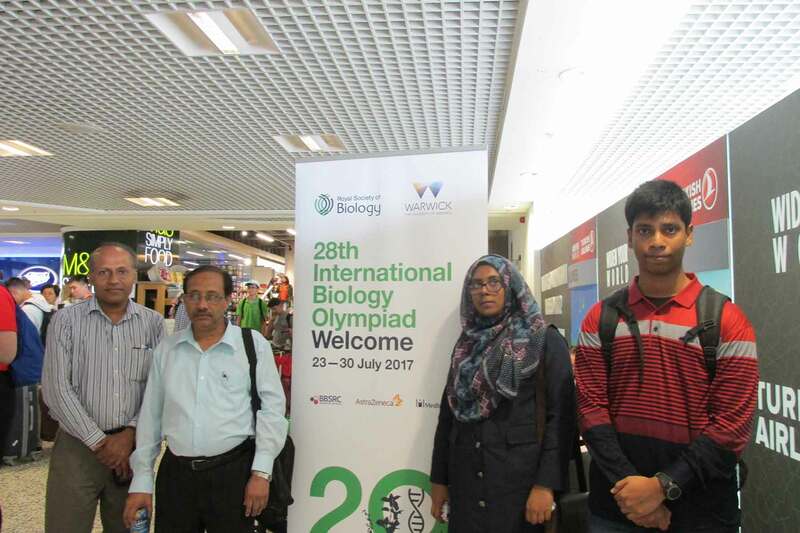 The International Biology Olympiad 2017 took place at the University of Warwick, Coventry, UK, during July 23-30, 2017. The Royal Society of Biology hosted IBO2017 where 72 IBO member countries participated. After participating as an observer country in IBO2015, and competing as a team for the first time in IBO2016, Bangladesh has competed in this mega event for the second time in 2017. The students were selected through a nationwide multistep talent hunt. Like the previous year, Bangladesh has secured two merit positions in IBO2017 as well. 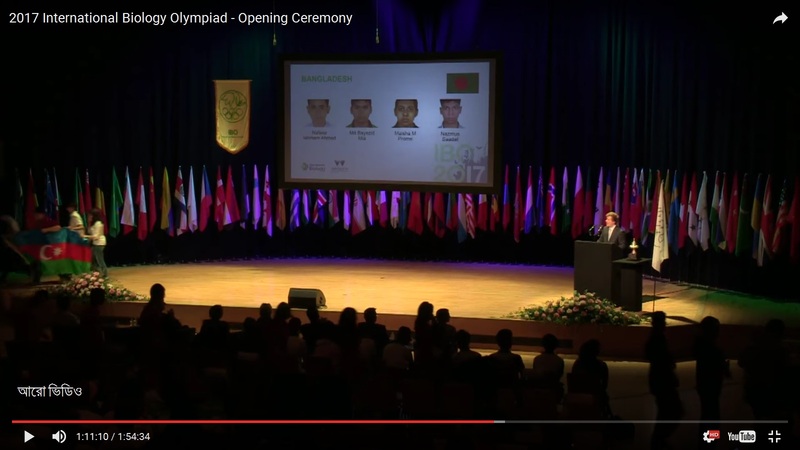 Screenshot from live youtube broadcast of the IBO2017 opening ceremony showing four students on screen who were selected to participate from Bangladesh. From left to right: Nafeez Ishmam Ahmaed (SFX Greenherald Int’l School), Md Bayezid Mia (Turkish Hope Int’l School), Maisha M Prome (Oxford Int’l School) and Nazmus Sadaat (Mangrove Int’l School). From left to right: Juries Prof. R H Sarker and Prof. Mohammad Shahidur Rashid Bhuiyan; Students who secured merit prizes Maisha M Prome and Nazmus Sadaat at IBO2017.